For those of you possibly unaware, “snowbirds” are people from the northern states who migrate south in the winter to the warmer states. Most snowbirds are retirees or senior citizens, but not all. Some people simply have the luxury of continuing to work from a warmer location. They come from New England (Massachusetts, New Hampshire, Vermont, Maine, Rhode Island) and the eastern seaboard (New York, Pennsylvania, New Jersey, Connecticut, Maryland, Delaware, D.C., Virginia). The Midwest too (Michigan, Ohio, Illinois, Indiana, Wisconsin, Minnesota, Iowa and Missouri). Some are from the Plain States and Pacific Northwest. Those are the cold weather regions where the winters can be long and harsh. 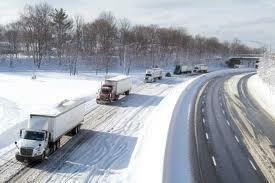 To What States Do Auto Shipping Snowbirds Flock? Where do snowbirds go? Any place warm, preferably with a beach! Florida, California, Texas and Arizona are the top snowbird destinations. However, there are plenty of vehicle shipping snowbirds flocking to Nevada (Las Vegas), New Mexico, Louisiana, and the Gulf Coast of Alabama and Mississippi too. Florida is undoubtedly number one as it has become synonymous with the word “snowbird”. According to a study conducted by the University of Florida, nearly a million “snowbirds” migrate to Florida for the winter. The numbers increase significantly every year. Some of those folks keep a vehicle in Florida year round just for the winter months that they are there, some don’t need a car very often and forego it altogether, but hundreds of thousands of snowbirds choose to ship a car south for the winter. The same holds true for California, Texas, Arizona and elsewhere. Our innovative and first of its kind auto transport quote calculator provides the most accurate rates in the industry. What Happens Every January In Car Transport? First week of January: The number of vehicles waiting to ship nearly doubles! That means orders are 200% of normal capacity. Far more vehicles are waiting to ship than carrier space available. Most are heading to the warmer states. So can you guess the vehicles shipping first and which ones sit and wait? The higher priced vehicles, called “loads” in the auto transport industry, generally will ship first. Money talks. We know that and therefore price our customer vehicles toward the top. Even being in the middle of the pack is a prescription for frustration. Customers of course gravitate to lower prices, but those auto transport brokers have extraordinarily high cancellation rates of upwards 70%, and eventually end up at our website or calling us to get a proper quote. Unfortunately those folks waste time and endure stress not getting it done right the first time, but how could they know? We don’t mess around and our customers get shipped among the first. Our customer reviews speak to that. The customers who are trying to do an otherwise normal shipment, say from Boston to St. Louis, can find their shipment delayed. Why? The carriers can fill up easily heading to Florida instead, and will hustle back to do it again. So the mad snowbird post holiday rush to Florida and elsewhere warm has a ripple effect across the entire auto shipping industry. Second week of January: The number of vehicles waiting to ship is at 170% of normal capacity. That means there is still upward pressure on pricing. People cancel their orders with the low-ball brokers and find the reputable auto transport brokers (read Direct Express) to price their vehicle proper for timely shipping. The system still has not flushed out the excess inventory of vehicles, as carriers are racing up and down the I-95 corridor and I-75 to fill up and do it again. And again. Third week of January: The number of vehicles waiting to ship is at 130% of normal capacity. That means the system is beginning to achieve some semblance of balance. The higher priced vehicles of course move faster, but the middle of the pack average priced cars are now starting to get picked up. The cheaper priced vehicles continue to sit, but by now those brokers have had nervous breakdowns. Maybe their customers too. 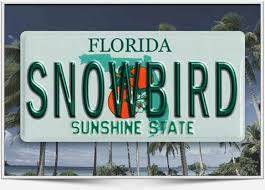 If you think about it, a snowbird is likely to spend four months in Florida or elsewhere. Going without their vehicle while there the first 3 or 4 weeks is a huge imposition. It’s not the carrier’s fault, they are working harder than anybody and often in harsh conditions. Blame the desperate auto shipping broker who should know better. Fourth week of January: The number of vehicles waiting to ship is at 100% of normal capacity. That means the auto shipping industry has reached parity or equilibrium. Everything returns to normal. Most reasonably priced vehicles that have well populated originations and destinations will ship in a timely manner. Higher priced vehicles first, but the mid-range vehicles as well a few days later. The really cheap stuff is still likely to wait awhile, the very last to move. So January starts out crazy and takes all month to right itself. Throw in a winter blizzard or two and things really get wild. February & March: The number of vehicles waiting to ship is at subnormal capacity. That means it is easier to transport your vehicle. 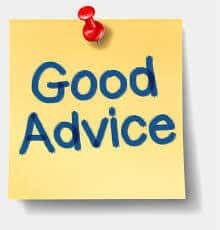 One caveat though is that the harsh weather states remain a problem, especially when temperatures dip below 20 degrees Fahrenheit or if a region is hit by a snow blizzard with ever higher accumulations of snow. Best Car Transport tip for January … pay more not less. You will be glad you did. Direct Express Auto Transport originated the instant online car shipping quote calculator. We have the lowest cancellation rate in the industry because our system for pricing vehicles is better than any other cheap knockoff out there. You cannot go wrong choosing Direct Express! Never-the-less, it is important to remember that on any given day during January, February and March of 2018, there will still be several thousand vehicles waiting to ship. All of those vehicles are competing with one another for precious auto transport truck space. Our good advice to you booking an order is to consider adding a tad more money. You are competing after all and sometimes just $50 extra makes a big difference. Our first of a kind car shipping quote calculator does a spectacular job of adjusting Fall car transport pricing and gives you the customer the option of Expedited and Rush rates. That is exactly the sort of thing that will help alleviate customer stress and get your vehicle on the road this Fall. Book it securely online or call our customer service representatives at 800-600-3750.